His "Taiko ki" about Toyotomi Hideyoshi was incredible. For me it stands on the same level as "Romance of the Three Kingdoms". 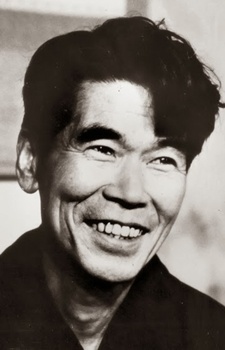 He died in 1962, but he's the writer of the novel about Musashi, which was the main inspiration of Takehiko Inoue. This is my favorite writer of japan history based on Edo period, it 's impossible to describe my feeling from reading "Musashi". When i was reading it, I forgot about everything, school, facebook, actually internet. So if you like manga, you will like his novels, you must like it. No guys, he died in 1962.
dude is he the oldest man in japan? Born in 1892, he's currently 118 years old.